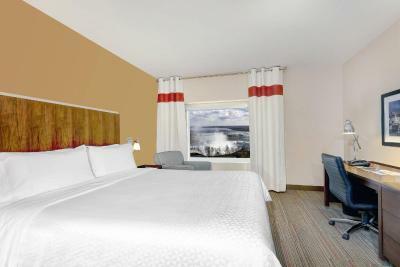 Lock in a great price for Four Points by Sheraton Niagara Falls Fallsview – rated 8 by recent guests! Great location! We loved our room with the view and the bottle of vine sent to our room. Staff was super nice and caring! The bed was very comfortable and the room was very clean! location was great. Went to a concert at falls view and its connected via covered walkway. We were given a room with a great view....Bonus! We had the most pleasant and helpful young woman check us in. Location, valet parking, cleanliness, customer service. Room was beautiful and clean. Staff were very nice and accommodating at check in when the line was very long but speedy and when our room key stopped working. We loved the vouchers we got on check in, definitely put them to use for some meals. Also super happy to be linked to so many restaurants and of course the casino! 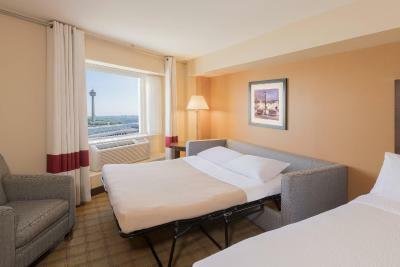 Four Points by Sheraton Niagara Falls Fallsview This rating is a reflection of how the property compares to the industry standard when it comes to price, facilities and services available. It's based on a self-evaluation by the property. Use this rating to help choose your stay! Located in the Fallsview district and connected to Fallsview Casino by an indoor glass walkway, this hotel provides free WiFi. 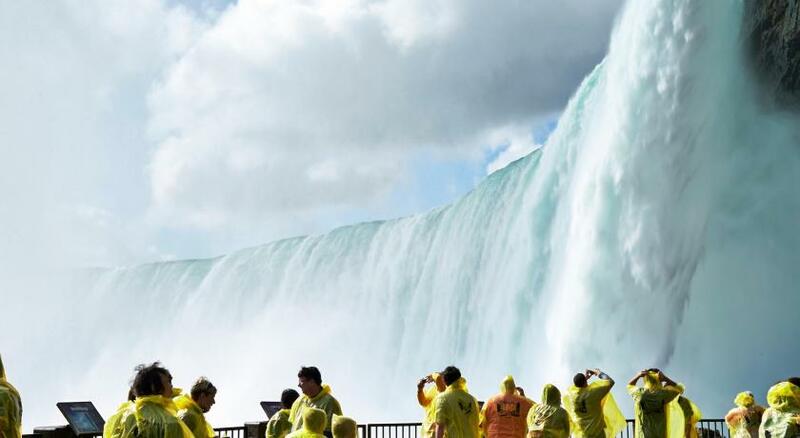 Area attractions including Journey Behind the Falls and the Hornblower Niagara Cruise can be found within 0.7 mi. 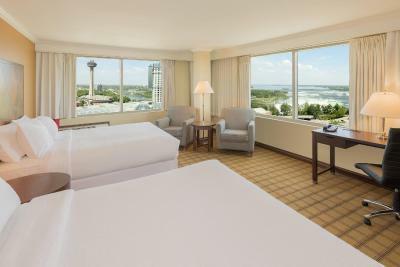 Each guest room at Four Points by Sheraton Niagara Falls Fallsview has a large picture window with a view of either the city or the Falls. Additional amenities include cable TV, a work desk and an private bathroom with complimentary toiletries. Select rooms feature a whirlpool spa bath. Located within the hotel, East Side Mario’s restaurant serves authentic Italian cuisine while Ruth’s Chris Steakhouse offers a wide selection of surf and turf dishes. Also found on site are an IHOP Restaurant and Starbucks Café. 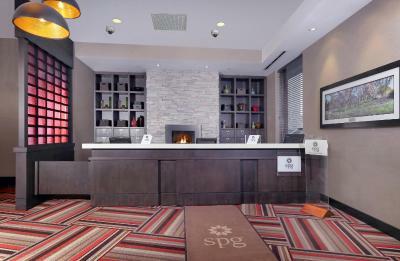 Four Points by Sheraton Niagara Falls Fallsview features an indoor heated pool, 2 hot tubs and a fitness center. Guests traveling with children will enjoy the arcade games found in the hotel’s Fun Zone. 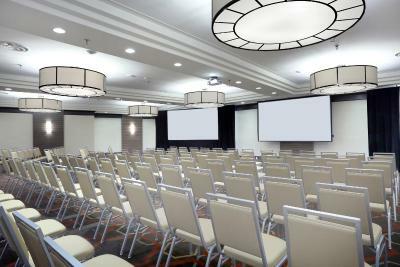 This hotel is 10 minutes’ walk from the Scotiabank Convention Center. Containing many brand name shops, Canada One Outlet Mall is 2.4 mi away. 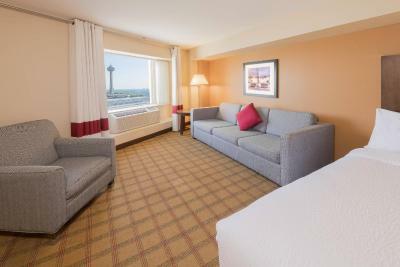 When would you like to stay at Four Points by Sheraton Niagara Falls Fallsview? Public parking is available at a location nearby (reservation is not possible) and costs CAD 21 per day. 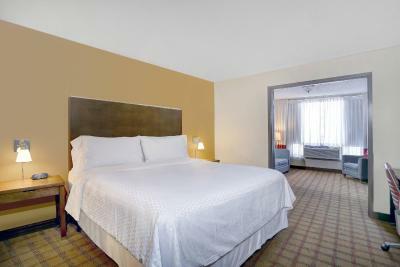 This double room features a cable TV, air conditioning and private entrance. This double room has a spa bath, tea/coffee maker and air conditioning. This double room has a private entrance, seating area and flat-screen TV. Four Points Niagara Falls Fallsview is located in the Fallsview district of Niagara Falls, Canada. Connected by an indoor glass walkway to the Fallsview Casino, this 3.5 star property includes complimentary WIFI, indoor pool, fitness center, 24-hour business center and 6 meeting rooms. 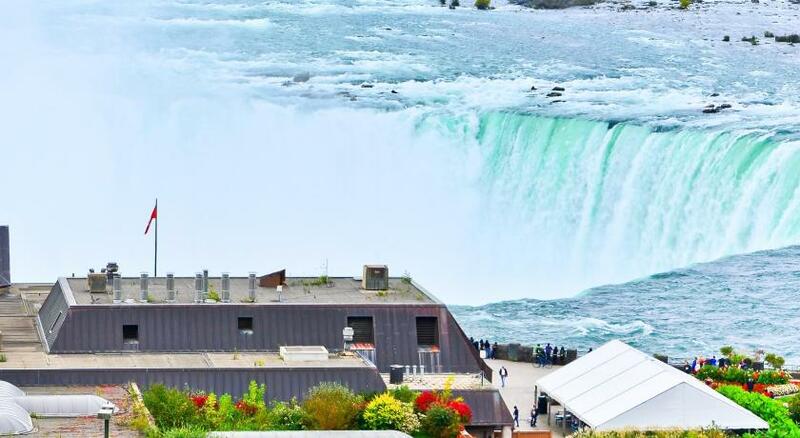 Conveniently located near major Niagara Falls attractions including Journey Behind the Falls, Hornblower Niagara Cruise, the Fury, and more. Offering a wide variety of onsite dining, there’s sure to be something for everyone! Whether it’s a romantic date night at Ruth’s Chris Steak House & Bar, a relaxing family dinner at East Side Mario’s Italian Eatery or delicious pancakes at IHOP Restaurant, there is sure to be something for everyone! Starbucks Café is conveniently located on the lobby level for a quick something to go! Located inside the Four Points Niagara Falls Fallsview Hotel, the Niagara Falls Fun Zone has Niagara's newest arcade games and attractions. With world-class attractions and an arcade featuring the best new games available, there is fun for everyone in our 20,000 square foot facility. Parking is available onsite for a surcharge and is a smoke-free property. House Rules Four Points by Sheraton Niagara Falls Fallsview takes special requests – add in the next step! All older children or adults are charged CAD 15 per night when using existing beds. Four Points by Sheraton Niagara Falls Fallsview accepts these cards and reserves the right to temporarily hold an amount prior to arrival. The room offered by booking.com was NOT what I received (or even close). Was told that the picture depicted in the offer wasn’t even the hotel! Ended up with a basic king room for a suit price! This hotel was old building, and room was very old. Booked through Booking.com website for 2 queen size beds and falls view room as descriptions and pictures were shown two windows at corner with falls view. Also I put note with request , need the room same as pictures. They confirmed without nothing. But in fact when check in , just only 1 windows and so far from Falls.It wasn't my exception at all as I paid over the average price compared with other hotels Falls view room. It was not worth. Great location, good facility and great staff. Went to our room and key cards didnt work so went back down to desk to get new key cards. Went back to the room and the previous guests hadn't checked out of the room yet. Awkward! Went back to the front desk and found out we were given the entirely wrong room. Very poorly organized!! Wallpaper peeling and TV channels are very few. The fact that I reserved a room with a jacuzzi and we got all the way down there to find put our room wasn't available due to maintenance issues. We have been coming here for awhile and it's a mood changer when that happens. Location was important. Comfort was great. It would have been nice to have an extra blanket available in the room. Other than that it was super. The friendly service at check-in and the follow up phone call when we were in the room to ensure everything was okay, along with the complimentary bottle of wine was more than exceptional.